Can you believe the SIZE of that egg? 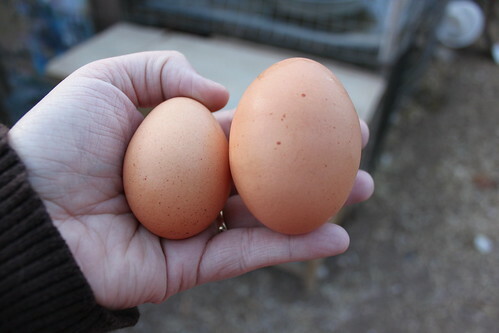 The one on the left is a normal everyday egg. Why the one on the right looks like it’s on steroids I can’t say. I may have gasped when I saw it. I thought for sure it was a double yolker, but it was just one giant yolk. The world record for yolks in one egg is 9. I can’t imagine the size of the egg they came in. Yowza!